The youthfulness of the Sherco trademark, born in 1998, contrasts with the growth that it has experienced during this past 15 year period. Born as a result of Marc Teissier’s passion for trials, Sherco has carved a niche for itself among the leading manufacturers in the trials market, this success has been evident from the very beginning and can be attributed to Marc’s ability to bring together a management team filled with experience and prestige in the field of trials. The popularity of the Sherco brand among riders has allowed a fast, but methodical, expansion of the product line and the number of models offered. Sherco motorcycles is a multinational SMEs as it is geographically divided into two subsidiaries in Western Europe. This French company is headquartered in Nîmes France and was created 15 years ago in 1998. Currently, it has a share capital of € 7,000,000. To date, Sherco Motorcycles is the only brand of French motorcycles that is still active. For the purpose of production, the strategic choice was to create two plants, each producing a range of products which are specific and diametrically opposed to each other. Thus, the Spanish factory in Barcelona which was founded in 1998 specializes in the trial category, while the French factory, which was established in 2003, specializes in the rest of the production. 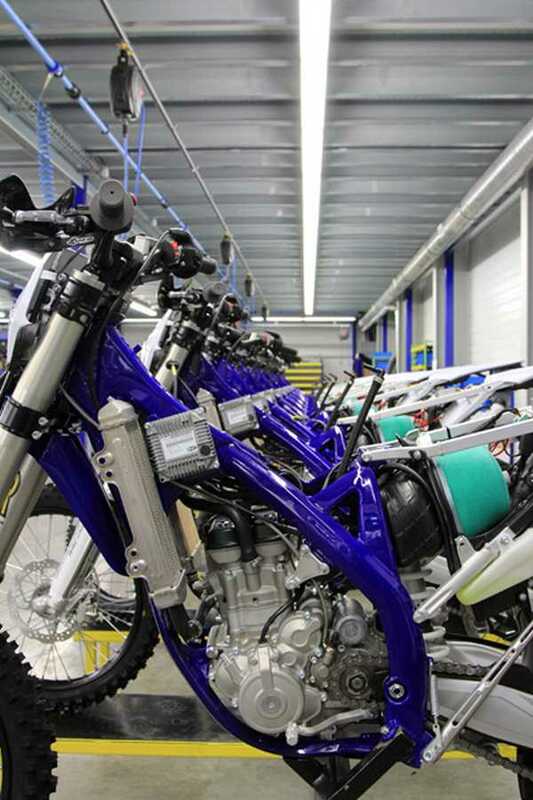 The Sherco range currently consists of nearly twenty different vehicles. The range is divided into two main categories, enduro and trial. The trial category consists of five models with displacements from 80 to 305 cubic centimeters and are all equipped with 2-stroke motors. The enduro category, meanwhile, consists of eight 4-stroke models with displacement of 250 to 510 cubic centimeters, and the 2-stroke models with displacement of 50 to 300 cubic centimeters. The brand is currently sold in over fifty countries worldwide, covering five continents. Sherco is an independent brand, therefore it manages its development pace and organizes its strategy as it pleases. We believe this is a key to success! In 2001 Sherco bought HRD, a prestigious French firm dedicated exclusively to the production of high-quality enduro bikes, with the aim of expanding its activities in this market. To ensure this new production activity would not interfere with the trials bike divisions already excellent results, a new factory was created in the town of Nimes in France southern region of Languedoc, close to Italy, which is the country that is the principal supplier of materials and components for the enduro bikes. 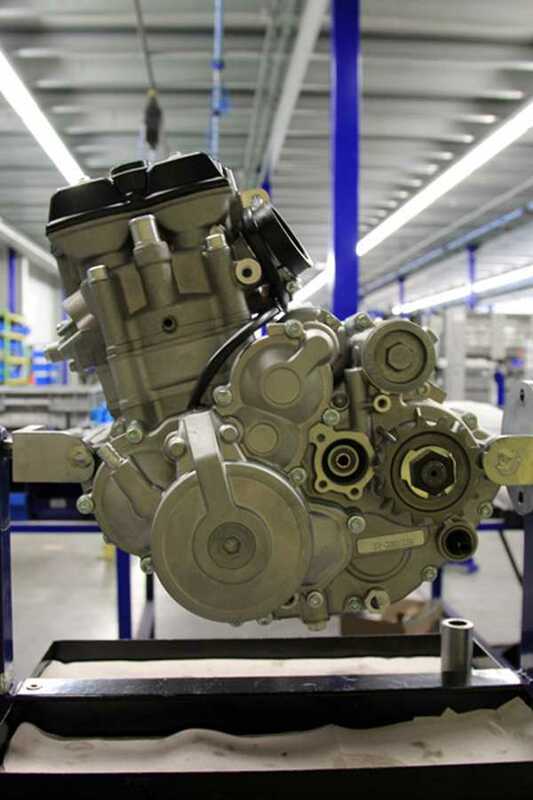 Directed by Didier Tirard, these new facilities cover an area of 3,000 m2, and have a team dedicated exclusively to improving the enduro and supermoto model bikes. The current offering is for eighteen models in the enduro and supermoto configuration with the following displacements: 50cc, 250cc, 300cc 2-stroke and 125cc, 250cc, 300cc, 450cc, 510cc 4-stroke. 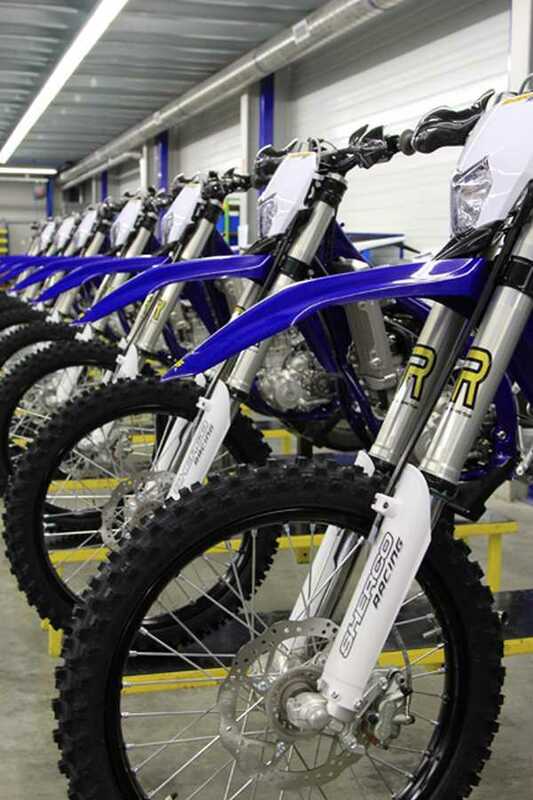 Sherco Caldes continues to dedicate its activities completely to trials bikes. Located inCaldes de Montbui, some 30 km north of Barcelona in Spain. It is no coincidence that its facilities are at the very heart of the world of trials biking. Three of the manufacturers who have dominated trials biking for over a decade are to be found in Catalonia: Bultaco, Montesa and Ossa, they represent the area’s extraordinary position in the sport; an area which has also produced some the sport’s most illustrious champions. For this reason, the majority of Sherco’s external suppliers are also to be found in the surrounding area, among whom we would obviously have to include PXC, Sherco Trial’s competition and prototype department, which is based in Torelló (Barcelona). Sherco Caldes covers an area of 2,500 m2, with a team under the charge of the Production Manager, Victor Colomer. It currently manufactures a range of models of trials bikes with the following capacities: 80cc, 125cc, 200cc, 250cc, 290cc, 305cc 2-stroke.